Whimsical pop/jazz complete with strings, tubas & bells. 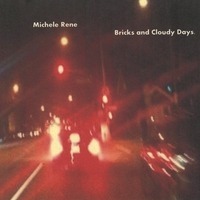 Michele Rene teamed up with long time collaborator Bobby Bancalari, a closet neo-Baroquist. He took his skills in orchestration and applied them to their pop tunes. The result is described as Burt Bacharach meets The Sundays. 60’s influenced pop-angst love song with lots of harmonies, layered guitars and harpsichord. 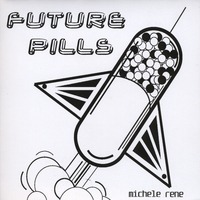 Written and produced by David Koval (Smashing Pumpkins’ Jeff Schroeder’s guitar teacher), Future Pills is one of many songs written specifically for Michele Rene. David and Michele once performed in a band called Tinseltown and still do occasional benefit shows for various causes. This single continues to get airplay on KROQ’s Rodney on the Roq show. This 4-song EP was the first “solo” CD by Michele Rene after her band Marmalade Skies broke up. It displays a variety of styles, from the Beatles-influenced “Indecision” to the World Music inspired “The Spell,” as Michele and Bobby Bancalari experimented in the studio with grammy-nominated Ted Jacobs. 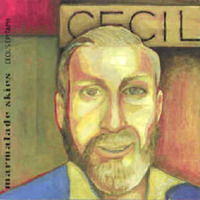 Cecil’s Epitaph was the first and only published recording by 5-piece band Marmalade Skies. In 1994, Michele Rene was convinced to help finish an unwritten song, and before she knew it, a college radio was playing the demo. The band was formed with seasoned musicians Henry Rodriguez (Drums), Richard Dominguez (Bass), Albert Garcia (Guitar) and Bobby Bancalari (B3 Organ and Mandolin). Richard was later replaced by Brian Chapman on bass, and Dan Ciarfalia joined the band on guitar and ended up on the album. Marmalade Skies played every Monday at the Winged Heart in downtown Fullerton, where they developed a healthy local following. The group also performed at famed L.A. venues (The Roxy, Coconut Teazser’s, Highland Grounds, Bob’s Frolic Room, etc.) and toured colleges in the southwest. Cecil’s Epitaph gained international attention when the song “Forgotten” was featured on the WB Show Felicity. It was an exciting time both professionally and personally for Michele. This period would also mark the beginning of a long time writing partnership between Bobby Bancalari and Michele Rene. Sadly, due to schedule conflicts the band broke up, but all members still keep in touch. The album is dedicated to Cecil G. Bancalari, who died of multiple myeloma, cancer of the bone marrow, in 1988.